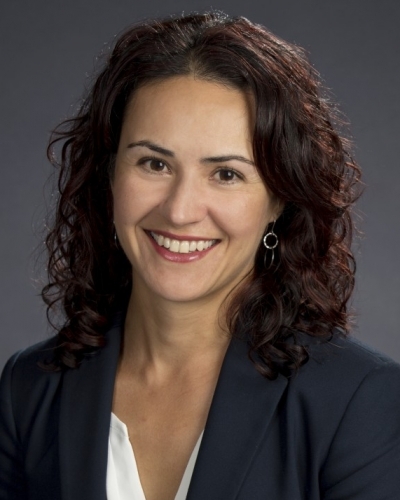 Liliana M. Garces is an Associate Professor at the University of Texas at Austin and Affiliate Faculty at the University of Texas School of Law. She teaches courses on higher education law, equity and diversity in higher education, and race, law, and education. Her research is grounded in the intersection of law and educational policy, with a focus on access, diversity, and equity in higher education, and the use and influence of social science research in law. Her work employs quantitative, qualitative and legal research methods and draws from frameworks across multiple fields and disciplines to tackle the complex nature of racial and ethnic inequality in K-12 and higher education. Her research has been funded by the Spencer Foundation, the William T. Grant Foundation, the Ford Foundation, and the W.E. Upjohn Institute. Dr. Garces's scholarship has been published in a variety of top peer-reviewed education journals, including Educational Researcher, American Educational Research Journal, American Journal of Education, Journal of Higher Education, Educational Policy, Peabody Journal of Education, The Review of Higher Education, and Urban Review, as well as law journals, policy reports, and books. She is co-editor of Affirmative Action and Racial Equity: Considering the Fisher Case to Forge the Path Ahead (Routledge, 2015) and School Integration Matters: Research-Based Strategies to Advance Racial Equity (Teachers College Press, 2016). She serves as Associate Editor for The Journal of Higher Education, and is on the editorial boards for Educational Researcher, The Review of Higher Education, and AERA Open. She is an active member of national organizations focused on education issues. Over the years, Dr. Garces's work has been featured nationally in National Public Radio, The New York Times, Chronicle of Higher Education, Inside Higher Ed., and other media outlets, and at various invited briefings at the National Press Club in Washington, DC. In 2014, she received the American Educational Research Association's Palmer O. Johnson Memorial Award for an article of outstanding importance to education research published in an AERA journal in the prior year. In 2015, she received the Association for the Study of Higher Education (ASHE) Early Career Award. 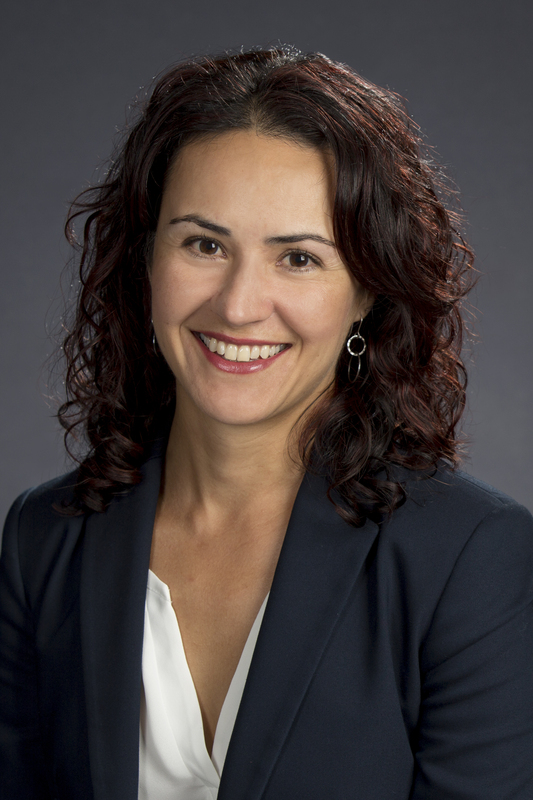 Combining her expertise in law and education, Dr. Garces has represented the education community in the filing of legal briefs in U.S. Supreme Court cases that have played consequential roles in interpreting law around race-conscious policies in education. She served as counsel of record and co-wrote, with leading scholars in the field, amicus briefs joined by hundreds of social scientists in the following cases: Parents Involved in Community Schools v. Seattle School District (2007) (553 signatories); Fisher v. University of Texas I (2013) (444 signatories); Fisher v. University of Texas II (2016) (823 signatories); and Schuette v. Coalition to Defend Affirmative Action (2014) (filed by The Civil Rights Project/Projecto Derechos Civiles at the University of California, Los Angeles). Most recently, she co-authored an amicus brief filed by 531 social scientists and scholars in support of Harvard's defense of its race-conscious admissions policies in Students for Fair Admissions v. Harvard University. Prior appointments before the University of Texas at Austin include: Associate Professor at The Pennsylvania State University, where she co-directed and co-founded the Center for Education and Civil Rights; Assistant Professor at The George Washington University Graduate School of Education and Human Development; and Post-Doctorate Fellow at the University of Michigan's National Poverty Center in the Gerald R. Ford School of Public Policy. Prior to becoming faculty, she worked as a staff attorney for the American Civil Liberties Union Foundation and the Legal Aid Society in DC, and as a judicial law clerk in federal district court. Dr. Garces holds a doctorate in education from Harvard University, a juris doctor from the University of Southern California School of Law, and a bachelor of arts from Brown University. Jayakumar, U. M., Garces, L. M. & Park, J. (2018). Reclaiming diversity: Advancing the next generation of diversity research toward racial equity. Handbook of Theory and Research. Garces, L. M., Marin, P. & Horn, C. L. (2018). The U.S. Supreme Court's use of non-legal sources and amicus curiae briefs in Fisher v. University of Texas. Journal of College and University Law. Marin, P., Horn, C. L., Miksch, K., Garces, L. M. & Yun, J. (2018). Use of extra-legal sources in amicus curiae briefs submitted in Fisher v. University of Texas at Austin. Education Policy Analysis Archives. Horn, C. L., Marin, P., Garces, L. M., Miksch, K. & Yun, J. (2018). Shaping educational policy through the courts: The use of social science research in amicus briefs. Educational Policy. Mickey-Pabello, M. & Garces, L. M. (2018). Addressing racial health inequities: Understanding the impact of affirmative action bans on applications and admissions in medical schools. American Journal of Education. Lewis, M., Garces, L. M. & Frankenberg, E. (2018). A comprehensive and practical approach to policy guidance: The Office for Civil Rights' role in education during the Obama Administration. Educational Researcher. Garces, L. M., Ishimaru, A. & Takahashi, S. (2017). Introduction to beyond interest convergence: Envisioning transformation for racial equity in education. Peabody Journal of Education. Garces, L. M. & Gordon da Cruz, C. (2017). A strategic racial equity framework. Peabody Journal of Education. Garces, L. M. (2016). Lessons from social science for Kennedy's doctrinal inquiry in Fisher v. University of Texas II. UCLA Law Review Discourse. Frankenberg, E., Garces, L. M. & Hopkins, M. (2016). Advancing Integration for Equity Across the Educational Pipeline. New York, NY: Teachers College Press. Garces, L. M. (2015). Balancing liberty and equality: Justice Kennedy's decisive vote in Fisher v. University of Texas, Part II. Educational Researcher. Garces, L. M. (2015). The University of Texas at Austin's defense of affirmative action in Fisher v. University of Texas: Lessons for institutional policies and practices. Association of Mexican American Educators Journal. Garces, L. M. & Cogburn, C. D. (2015). Beyond declines in student body diversity: How campus-level administrators understand a prohibition on race-conscious postsecondary admissions policies. American Educational Research Journal. Garces, L. M. & Mickey-Pabello, D. (2015). Racial diversity in the medical profession: The impact of affirmative action bans on underrepresented student of color matriculation in medical schools. The Journal of Higher Education. Jayakumar, U. M., Garces, L. M. & Fernandez, F. (2015). Affirmative Action and Racial Equity: Considering the Evidence in Fisher to Forge the Path Ahead. New York, NY: Routledge Taylor & Francis Group. Garces, L. M. (2014). Aligning diversity, quality, and equity: The implications of legal and public policy developments for promoting racial diversity in graduate studies. American Journal of Education. Garces, L. M. & Jayakumar, U. M. (2014). Dynamic diversity: Toward a contextual understanding of critical mass. Educational Researcher. Garces, L. M. (2013). Understanding the impact of affirmative action bans in different graduate fields of study. American Educational Research Journal. Garces, L. M. (2013). Reflections on a collaboration: Communicating education research in Fisher. Educational Researcher. Garces, L. M. (2013). Social science research and the courts: Considering post-Grutter v. Bollinger developments in higher education cases. Educational Policy. Garces, L. M. (2012). Racial diversity, legitimacy and the citizenry: The impact of affirmative action bans on graduate school enrollment. Review of Higher Education. Garces, L. M.. (2012). Necessary but not sufficient: The impact of Grutter v. Bollinger on student of color enrollment in graduate and professional schools in Texas. Journal of Higher Education. Frankenberg, E. & Garces, L. M.. (2008). The use of social science evidence in Parents Involved and Meredith: Implications for researchers and schools. University of Louisville Law Review. Orfield, G., Frankenberg, E. & Garces, L. M. (2008). Statement of American social scientists of research on school desegregation to the U.S. Supreme Court in Parents v. Seattle School District and Meredith v. Jefferson County. The Urban Review. Garces, L. M. (1998). Evolving notions of membership: The significance of communal ties in alienage jurisprudence. Southern California Law Review. Funded by Spencer Foundation, Co-Investigator with Royel Johnson (lead PI) and Uju Anya. Funded by William T. Grant Foundation, Co-Investigator with Patricia Marin (lead PI), Catherine Horn, and Karen Miksch.